[PDF] Electrical Power Cable Engineering: Second: Edition, (CRC Press Power Engineering (Willis)) | Free eBooks Download - EBOOKEE! Description: This work provides coverage of the design, manufacture, installation, testing, operation and performance expectations of electrical power cables used wordwide, focusing on low- and medium-voltage cables. The work discusses: basic dielectric theory conductors cable characteristics electrical properties of insulating materials shielding power cables sheaths, jackets and armours standards and specifications splicing and terminating ampacity treeing lightning protection corrosion and more. 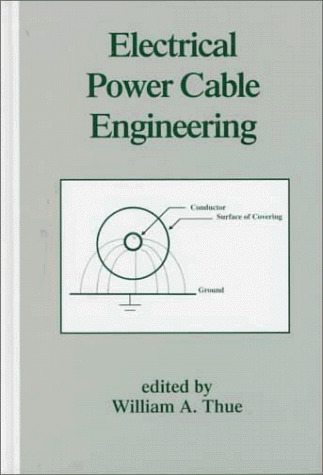 No comments for "[PDF] Electrical Power Cable Engineering: Second: Edition, (CRC Press Power Engineering (Willis))".